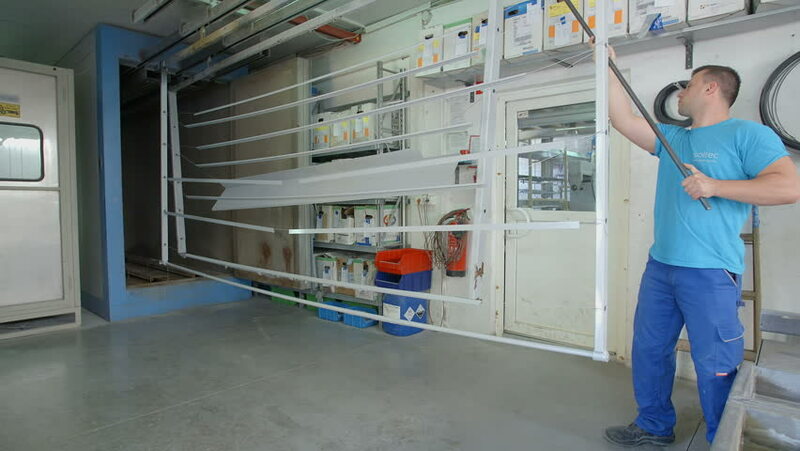 A man is working in the factory and he is pushing a big white item further down a production line. Wide-angle shot. hd00:06Stockholm, Sweden - 06 01 2016: STOCKHOLM, SWEDEN - 2016, JUNE 1ST: CLOSE UP OF A YOUNG INTERN SAWING A PLASTIC TUBE IN A WORKSHOP, WHILE HIS MENTOR IS SUPERVISING. 4k00:20Girl roller and his father skating in the underground parking, camera rotate. Time lapse. hd00:11Doctor is preparing the tools for surgery. Slider shot.